Updates to MARCY's profile since your last visit are highlighted in yellow. I married in 1962 and graduated from Swarthmore in 1963. After college, I stayed home to raise my two sons. In 1970 I was divorced. I went to graduate school at the University of Washington in Seattle, and received a Ph.D. in cognitive psychology in 1978, then stayed on in Seattle until my youngest son graduated from high school. Then I took a job teaching psychology at the University of North Carolina in Chapel Hill. In 1987 I married Art Benavie, who teaches economics at UNC. I am retired from teaching and have begun very happy new career as a watercolor artist. MARCY LANSMAN has a birthday today. 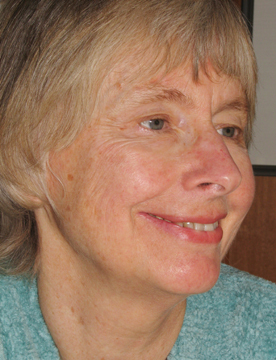 MARCY LANSMAN updated profile. View.